Size (Inches): 9 In. X 4 In. X 3 In., 9 In. X 4 1/2 In. X 1 1/2 In., 9 In. X 4 1/2 In. X 3 In. ACC Acid Resistant Brick, Size (Inches): 9 In. X 3 In. X 2 In. With our in-depth knowledge of this domain, we are actively engaged in offering an excellent quality assortment of Acid Resistance Bricks. Our organization hold expertise in providing wide assortment of Acid Resistance Bricks. These are manufactured by utilizing high grade material by our vendors and provided in various specifications to meet the diverse demands of our clients. These bricks are provided as per customer requirement at attractive prices. Crescent PPG Lining Pvt. Ltd.
various types of Fire Bricks and its UsesClay Bricks: Clay bricks are mostly used to decorate the outer a part of the hearths, ovens and furnaces because it has restricted capability to face up to high temperatures. We are one of the leading manufacturers of a wide range of Acid Proof Refractory. These are manufactured using state-of-the-art technology and are widely used for reactors. Our range of acid proof refractories are manufactured using the finest grade raw materials that we procure from the most trustworthy vendors in the market. With immense experience in the field, we are able to manufacture and supply an extensive range of Acid Proof Bricks that are highly demanded in the construction industry. 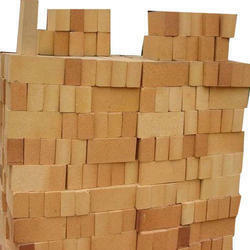 We are the leading supplier refrctory bricks. The company is a prominent Acid Resistant Bricks Manufacturer and Supplier in Ratlam. The Acid Resistant Bricks are used in Chemical, Fertilizer, and various other industries, where acids and acidic gases are used. Moreover, our Acid Resistant Bricks are also ideal for flooring and storage tanks.